We just got back from our incredible trip to India and I felt compelled to write to you and share some of our photos from the trip. 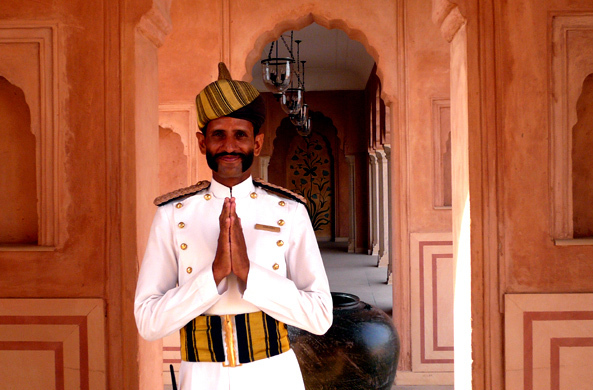 Thank you for arranging an absolutely perfect itinerary—we really felt as though we experienced the best of India. Highlights were the jeep ride through a remote village where we stopped to meet a local family, the sunrise boat ride on the Ganges River, the private cruise through the backwaters of Kerala, and the special dinner with the classical musicians—the trip was filled with experiences and people we'll never forget. Also, the hotels were out of this world. We really appreciated all the extra touches that you arranged and the excellent guides. Once again, thank you for an amazing trip. I hope you enjoy the photos. Artisans of Leisure travelers can't get enough of Italy, and, honestly, neither can we. We've used our expertise in all things Italian to create new special interest tours that focus on gardens, cuisine and Sicily. 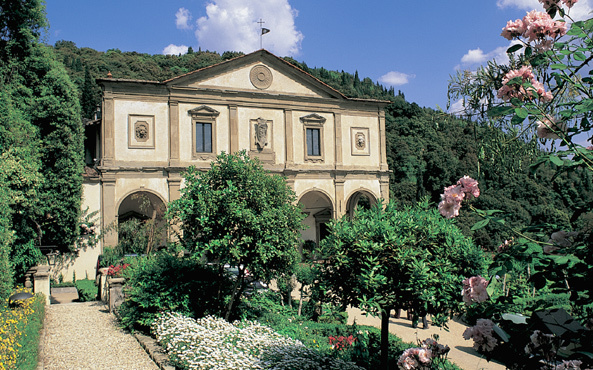 Italy is a garden lover's paradise, and our new Gardens of Italy tour features insider access to a wealth of beautiful and historically significant gardens, including private gardens, unique hidden gems and some of Italy's most famous gardens, such as Villa d'Este, a UNESCO World Heritage Site. For some of Italy's finest wine, cuisine and culture, feast on our new culinary tours: Gourmet Northern Italy (Piedmont, Emilia-Romagna and Tuscany) and Gourmet Southern Italy (Rome, Naples, the Amalfi Coast, Capri and Sicily). Both tours include comprehensive cultural touring, visits to small villages, cooking classes, and opportunities to dine at our favorite local restaurants. Due to high demand, we have also created a new Highlights of Sicily tour, which features the island's most interesting regions, best hotels, and unique culture and cuisine. 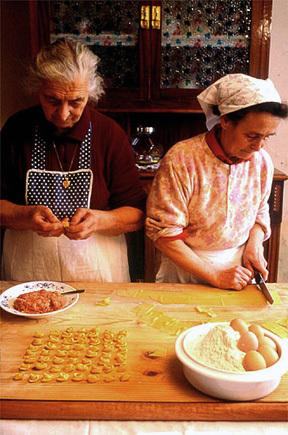 Our Italy specialists can fully customize these new tours or add garden visits, cooking classes or stops in Sicily to any of our Italy tours. The response to our new Central Europe tours has been overwhelming! Our travelers love their unrivalled luxury, exquisite hotels, and exclusive access to the region's incredible cultural richness. 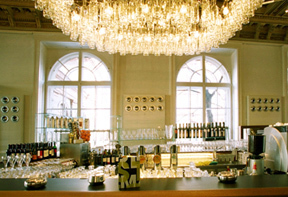 The tours feature the best of Austria, Hungary, the Czech Republic and Poland, including festive Christmas markets, in-depth Jewish culture and history, and sophisticated design, architecture and shopping. Russia has also become a favorite destination for our travelers, and Moscow and/or St. Petersburg can easily be combined with any destination in Central Europe. Visit our website to learn more about these exciting new tours, or contact one of our Central Europe specialists to begin customizing an itinerary today. Seeking a vacation that appeals to the entire family? 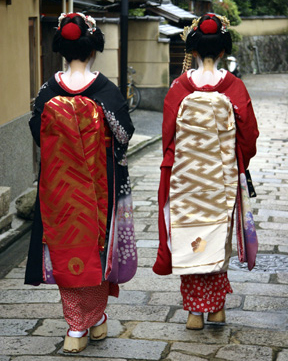 Consider Japan and China, two of our most popular family destinations. We use family-friendly room categories, and we complement cultural touring with unusual and novel activities such as dressing like a geisha in Kyoto and flying kites on the Great Wall in China. Our Classic Japan Family Tour and China for Families were designed with families in mind. And our favorite option for families interested in experiencing the highlights of both countries is our Best of Japan & China tour. We routinely plan tours for every kind of family, from parents with an infant to multi-generational families. Visit the Family Travel page on our website for family tours in other destinations, or contact us to customize a tour based on your family's interests. How could we possibly improve on the extraordinary temples of Angkor? By refining, re-defining and deepening the experience. 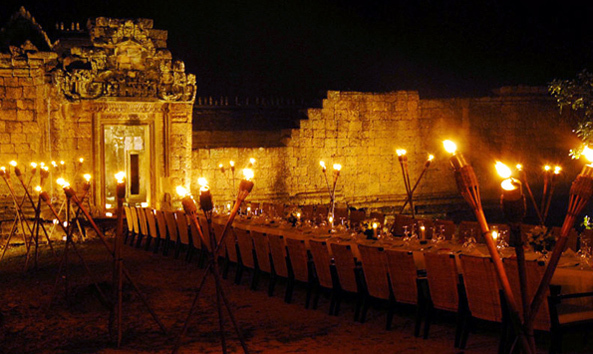 For romantics, how about a private dinner at a secluded temple with traditional Khmer food, fine wine, discreet service and a few hundred candles? 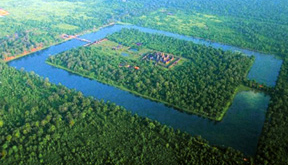 Adventurers might like to fly in a helicopter above the jungle for the ultimate perspective on the enormity of the Angkor complex. Armchair archeologists will want to meet international scholars hard at work conserving the monuments and uncovering their secrets. The Angkor region is more than temples, so we also take interested travelers to local villages, schools, orphanages and NGOs to meet and better understand the Khmer people living there today. Tours in Cambodia combine beautifully with Vietnam, Thailand and the rest of Southeast Asia. Our trip to New Zealand and Australia was flawless. Each day and every moment was memorable. 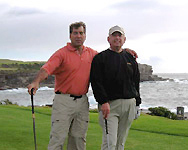 We have traveled widely and often, but have never enjoyed a more well-planned, luxurious, exciting or intriguing vacation...You seemed to understand exactly what we were hoping for. We had incredible adventures. 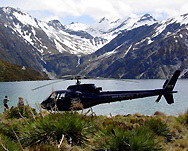 Jet boating, helicoptering, horse riding, trout fishing, snorkeling, sightseeing, gourmet dining, extraordinary accommodations—it was all there! The resorts you recommended were spectacular and the scenic settings were inspirational. 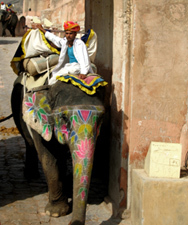 Every guide was knowledgeable and every driver was affable, polite and accommodating. The three weeks flew by and we saw so much without every feeling hassled, hurried or harried. How did you manage to arrange for perfect weather too? We loved touring in New Zealand...We adored our time being fishermen, sheep herders, hikers and tourists. In Australia, we seemed to have visited almost every ecosystem on earth from the rain forest to the red desert to the Great Barrier Reef. We even heard an opera after a private behind-the-scenes tour of the iconic opera house in Sydney! Thanks you for being great listeners, for your patience and attention to every detail, and for sharing so many insights and insider tips with us...We cannot imagine ever investing our time and money on a trip of this magnitude without partnering with our special friends at Artisans of Leisure. Bravo! Our in-house specialist on Spanish culture, cuisine and history, Leah Reilley, just returned from another in-depth visit to Spain. Leah has lived in Madrid and Barcelona, speaks fluent Spanish and has traveled extensively throughout the Iberian Peninsula. Leah's extensive knowledge of Spain has been incorporated into our tours, ensuring they are the most culturally rich, luxurious Spain tours available. Also, look for our new Portugal tours coming soon! Contact Leah or one of our other Spain experts for assistance with planning a tour in this wonderful region.